Vince was a cornucopia of songs. He could hardly pick up the guitar, without producing a new song, even when he was supposed to finish another one! He had so much music in him and so much to offer. The songs came from within, from his experiences, thoughts, and being. He had a very rich inner life. Vince wrote a lot of very good numbers, and every song just had something in the tune – some notes that just hit you. He could always hit a tone, a riff that just touched you and lingered i your mind. Vince Gordon composed more than 250 songs. Next to his bed was always a note pad, so he could write when inspiration hit. In the living room stood a music stand with sheet music, and guitars could be found everywhere in the home: In the bedroom, in the living room, in the attic, and of course, in the home recording studio. Music was in his blood. Vince Gordon did not just compose, play, and produce, he was music. An example of this is this sound clip recorded by Vince Gordon’s wife. One summer evening Vince is walking around in his house with a guitar around his neck as he often did. After a few minutes he turns towards his wife saying: “I have just written a new song. It’s called “A Place in The Shadow”. She recorded the song on her cell phone while he was playing it for her. It was complete with lyrics and guitar solo! – Vince once gave me the advice: “Write from the heart”. That’s what he did. Life was rough on him and he wrote about it. You can hear it in the lyrics. An example of this is the song “Closer to the End”. It is written one evening in just two hours. In this 2002 composition Vince philosophizes on his life in a both honest and humorous way. Are You the Next Rockabilly Guitarist? Vince Gordon was passionate about helping and inspiring others to start playing rockabilly. This led him, among other things, to produce two e-books on learning how to play the rockabilly guitar. One book was for beginners and the other for intermediate level guitar players. You can find it here. Vince even invented a new way for practicing and playing rockabilly with the release of the CD called “Jam with the Jime”. 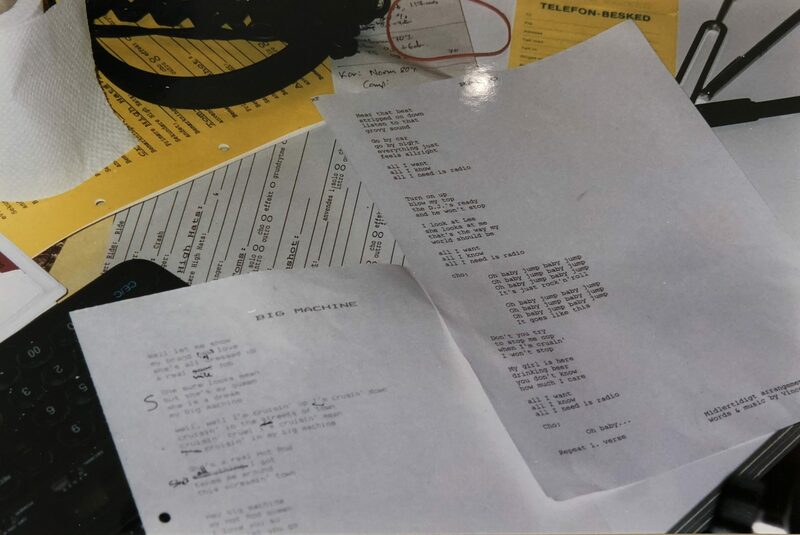 The CD contained pre-recordings of the Slap Bass, Drums and Rhythm Guitar, but space had been left for somebody to play the Lead Guitar and for singing along. If you want to practise, or just jam with Vince Gordon, while playing to his own The Jime songs, it is possible right here.